Child's Jungle Animals lower cabin bed with 2 storage drawers. 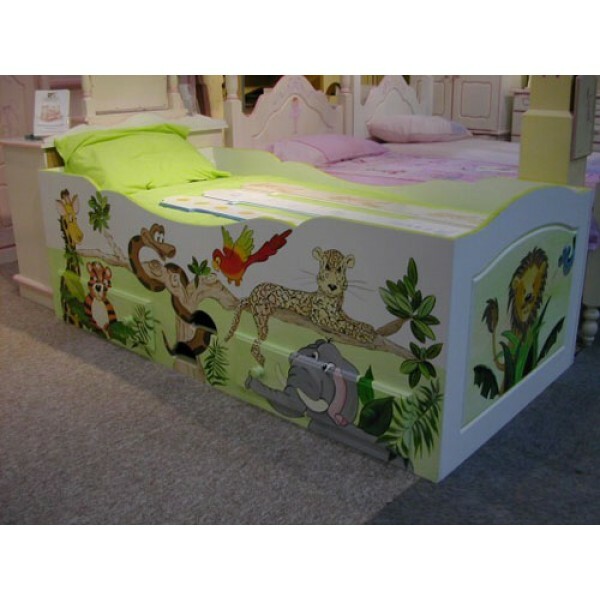 Featured bed is white with lime green trim colour and beautifully painted brightly coloured fun and friendly 'cartoony' style animals. We can include you child's name on the side or end as well. Price exc. mattress.